Handed down by the Heritage Victoria Executive Director Steven Avery on Tuesday, the order (PDF link) protects Federal Square under the Victoria State Government's Heritage Act of 2017 as the agency considers adding the area to the official Victorian Heritage Register. As noted by "Our City, Our Square," a Federal Square-focused offshoot of advocacy group Citizens for Melbourne, the IPO prevents any construction, demolition, excavation or other alteration to the site, punishable by fines or imprisonment. According to Avery, approved works in and around the area pose an "imminent threat" to the square and "may detrimentally affect its cultural heritage significance." 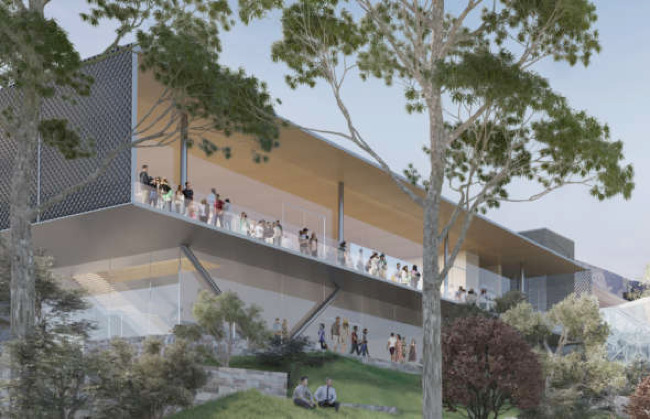 Included among the named projects are a Metro Tunnel entrance and the Yarra building, the latter being the planned location of Apple's first Australian global flagship store. "Fed Square has been given a reprieve until Christmas," said Tania Davidge, President of Citizens for Melbourne in statements posted to the Our City, Our Square website. "The Interim Protection Order allows us to take stock and think about what makes Fed Square truly special. It validates the community view that Fed Square is a place of social, cultural and civic importance." Announced last December, Apple Federal Square was initially set to open in 2020, but the proposed retail presence amidst museums and eateries was met with significant pushback from public advocacy groups. Listed among the complaints was the store's original design, which some referred to as a "Pizza Hut pagoda." Apple addressed local concerns in July when it unveiled revised plans for a store designed to complement surrounding structures. The company arrived at the refreshed architectural outline with the help of Federation Square Management, the Victorian Government and the Melbourne City Council. Heritage Victoria and the Heritage Council will decide Federal Square's fate during the four-month evaluation period. It is unclear whether Apple will be able to move ahead with construction of the outlet if VHR status is approved, though Our City, Our Square believes heritage classification would impact those plans.